The response to God’s presence, of knowing Him, releases a challenge. That challenge is a mandate for change. The response to the ancient challenge has been the spark to the drama of the ages. It has been the igniter by which good has progressively overcome evil. It is the challenge entrusted to those discerning the keys and entering the gates that employ the righteous authority of the Ancient of Days. At the crux of this age-old drama have been game-changers, leaders with alliances both from within and outside the community of God’s people, whose righteous response to His standard would advance His purposes. This advance has been demonstrated with strategies impacting the infrastructures of culture, economies and power. Yet, the most important elements for historians: God and His chosen people Zion have largely been ignored in recording the story of man. Understanding the times and knowing what to do rest on a realistic grasp of the historic strategies employed by God and His chosen. Abraham established the community model for God’s people to live in self-sufficiency, as a people of God. Isaac gleaned the secret of God’s economy and supernaturally prospered through God, despite the impact of famine. Joseph demonstrated how stewardship that abides in God’s presence can influence the spiritual climate of a society and release God’s authority within its infrastructures, to overcome impending evil and to accomplish God’s purposes. Moses provided the framework for the Abrahamic model to inoculate itself from the subtle wickedness of the surrounding world and become a society of the righteous, living for God. David demonstrated the leadership response to God’s guidance needed to shape a society of diverse factions into a Kingdom of God’s people, that would prompt awe for God and His people from all those around them. Jesus raised the bar to the ancient challenge and opened the gates to the authority that governs cultures, economies and power. In so doing He set the Kingdom standard for applying righteous power in a corrupt world. Isaiah declared (Isa 43:10) that God’s servant, His people Israel, were chosen as witnesses to know and to demonstrate what it meant that He alone was God. Through that mantle, God’s standard progressively has been raised. Paul wrote the Romans (3:2) that the chief advantage held by the Jews has been and is in being entrusted with the oracles of God, which include His standard, His ways, His intentions and His utterances. The birth of Christianity was not a new religion, but rather the fulfillment of the ancient pathways and mandates that began with Abraham. God told Abraham to leave his family and country and the spiritual environment of his ancestors and go to a place in which God would begin a process of fulfillment and restoration. Abraham heard and believed God, and he obeyed. Through Abraham and His seed, the ancient powers of the Creator have progressively manifested to lay the foundations, releasing God’s original intentions. It is the ancient challenge and mandate for those willing to align their identity and destinies with Him. The oracles of God have opened the way to the ancient powers through which the Lord has and will manifest and employ His chosen to resetting the spiritual climate with change impacting all within their domain. Each generation has had its game-changers, ranging from those anointed and appointed by God, to the counterfeits whose agendas serve evil’s intentions to undermine the purposes of God. Each impact the equilibrium and mix of culture, economy and power. Abraham Lincoln’s role in freeing the slaves in America countered the prevailing winds of incredible opposition with what was right and righteous. What played out in the years following the resulting conflict, for which he died, dramatically impacted the culture, the economy and seats of power. It sowed seeds of righteousness that would trigger God’s agendas, involving God’s people, in the decades to come. The rise of the modern-day Zionist movement is an example. It is significant in understanding this age-old conflict that the birth of the Zionist movement took place in the same generation as the emergence of the communist movement. The contrast between the fruits of Theodore Herzl and Karl Marx reflect the intensity of this battle of the ages. Juxtaposed against the flashpoints of conflicts over the cause of righteous freedom has been the catalytic role served by specific movements of prayer and revival. These are movements that have released change that has reset the foundations tied to God’s long-term purposes. They underscore the significance of the role of God and His chosen in grasping the true central issues of history. It’s why the enemy’s minions have fought so viciously to have these insights expunged from the annals of history. The time preceding the US Civil War was marked by an outpouring of the consciousness of God’s presence that impacted businesses and communities across this new nation. The influence of the Second Great Awakening gave rise to the manifestation of numerous religious and humanitarian movements which transcended the decades prior to the freeing of the slaves. It countered unrighteous and blind standards marking the status quo, and the lawlessness and chaos that came with America’s early growth. The abolitionist movement was one of its results. Yet, for movements to impact the dynamics of culture, economies and power requires an anointed game-changer who will not bend with the onslaught of unpopular opinion or personal ambition. Just as important as getting history right, with God and His chosen at the core, so it is essential to understand the cycle and complexity of the matrix operating. It begins and ends with the spiritual. The igniter for change, as it has been over the ages, is when the prayers of the righteous, aligned with the heart of God, push back against evil. God’s presence begins manifesting in response to fervent prayer, with the initial impact spreading across the community of God’s people. As the spiritual climate begins shifting, the foundation for advancing change is released. When the overwhelming consciousness of God’s presence takes root, it builds to the level of revival, a manifest move of God. Revival not only changes all within its path, but it plants an influence of spiritual ripples which trigger transformation and gives birth to supernatural dimensions within society itself over the time that follows. It is significant to understanding the power of this dynamic, that those ministering to the people in this passage were unable to stand due the awesome consciousness of God’s presence. The Second Great Awakening, the abolitionist movement, the US Civil War, the reshaping of societal and business foundations during reconstruction and then the Zionist movement significantly restructured cultural, economic and power structures. This snapshot of the matrix of change is only one example. The mix of isolationism and appeasement in the 1930s gave rise to evil atrocities against freedom in general and God’s chosen specifically. Ultimately the spiritual forces clashed with WWII. 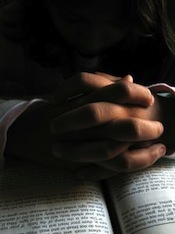 A great rise in the focus of prayer from a broad sector of society was progressively released. The momentum of concerted prayer not only brought a righteous conclusion to the conflict, but in 1948 Israel, against all odds, became a nation. Remarkably in the same year came a healing revival that released a still greater outpouring of prayer and hunger for God’s presence. As the dynamics of this matrix amassed, 1967 became another such time in which the purposes of God and the presence of God converged into movements and events affecting God’s chosen. It was a time of concentrated spiritual climaxes. Included in these events was an unusual flashpoint of war in which Israel for the first time in centuries, regained control of Jerusalem. It was in this same year that the Charismatic renewal was birthed, a time in which the consciousness of God’s presence was making a great impact on the non-believing. This was also the year giving rise to the Messianic Jewish movement, a time since when more Jews have met their Messiah, than in all the years since the Lord walked the face of the earth. During this same timeframe, Christians began mobilizing and strategically advancing their efforts through the use of the media. The extent of the ripples of change in the decades following has been dramatic, as have the struggles for freedom, as new layers of evil have been uncovered and pealed back. It has all stemmed from the buildup of gathered prayer, God’s manifesting presence and a stand against evil. The igniters of concerted prayer and the matrix of change release the ancient challenge. From the earliest church fathers came the prophetic mandate to rebuild the tabernacle of David (Acts 15:16). 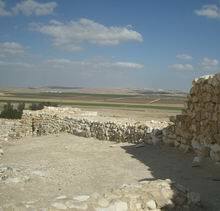 The prophecy referred to by James in Amos 9:11 as the tabernacle of David describes God’s presence residing among His people. It is the dynamic with its foundation in amassed prayer that released the outpouring of the Spirit described in Acts 4. It is the catalyst for change. When the matrix begins culminating, the momentum of prayer releases movements that bring change that confronts evil and reshapes society around it. At the forefront are leaders like Abraham, Joseph, Moses, David and Jesus, who become one with God and His purposes. Jesus explained this destiny-shaping dynamic to His followers. The early church began a time of restoration of God’s presence being manifested among His people. The conflict became fierce, but from that time everything changed. Historically, the traditional response to gathering evil too frequently has been either collaboration or appeasement. God’s standard does not mix with either. The ancient challenge takes a stand and goes against the grain despite the onslaught of opposition. The world has reached just such a flashpoint. Over the centuries, the key factor shared by those answering the ancient challenge as game-changers has been their ability to abide in God through the firestorms. Proverbs reveals that the man who rules his own spirit is mightier than the one who can take a city. To the point, Jesus said if we would have faith as a grain of mustard seed, God’s purposes would take root. A frequent question concerning the calling of modern-day Josephs has been “when will the time of the Josephs manifest?” The answer is the same as it was in the days of Joseph the Patriarch: “When God speaks to Pharaoh.” However, the prelude to God speaking to Pharaoh will be shaped by the amassing of prayers and steadfast faith demonstrated by the stewardship of the Josephs. With evil coming out of the closet today at unprecedented levels, the challenge, as it has reemerged across the centuries, is for God’s people to take a stand and give heed to mobilizing prayer that brings forth His presence. With that will be the emergence of the leaders whose influence impacts culture, economies and power to embrace this mandate of the ancient challenge. The time of the Josephs is at hand. It will be a time in which the identification and alliances with modern-day Pharaohs and Cyruses and other strategic gatekeepers will be significant. The time of the Josephs will be a time in which the gates of the world’s systems will be penetrated for the Lord’s purposes. Abraham Lincoln’s leadership example provides wisdom for today’s genuine Josephs. His attitude was consistent: his mission was not about him or his popularly or fame. He was a game-changer willing to fully face the onslaught of opposition. Today’s Josephs are those prepared, who will embrace the ancient challenge and steward the mantle of fire to wield the mandate for change.